Hydrochlorothiazide is a drug prescribed for blood pressure, diabetes, water retention and osteoporosis. Some of it's common names include HydroDIURIL, Microzide, Esidrix, Oretic, Amturnide, Tekturna HCT, Moduretic, Tribenzor, Exforge HCT, Lotensin HCT and Ziac. From 2004 to 2015 Danish researchers looked at 19,273 melanoma cases. Individuals included in the study were between the ages 18 and 90, and lived in Denmark continuously for the 10-year study period. Roughly one-fifth of patients were defined as high hydrochlorothiazide users (took the drug continously over a long period of time with a cumulative dose of ≥50,000mg). The researchers found that those who used hydrochlorothiazide medicine had a seven times greater risk of developing a type of skin cancer called squamous cell carcinoma. Squamous cell carcinoma can be treated and has a very low mortality rate, so don't panic and stop taking your medicaton. Instead, book an appointment with your doctor to discuss alternatives. The study found no link between other hypertension medicines and skin cancer risk. 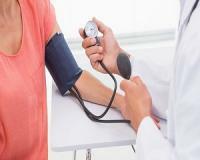 You can also find out how to treat high blood pressure naturally here.